Segway tours are quite popular in many places for example, and e-bikes tours can be a nice addition to this kind of tours. I'm not familiar with all the e-bike tours around the world but I've gather a small list of what i've found so far. You are more then welcome to contact me if you want to share or promote additional tours like that. Electric bike tours can be great for two different reasons. First of all, riding a bicycle in a lovely day and touring around the city can be a fun way to get around and soak the city atmosphere. Second, you can experience what is it like to ride an electric bicycle without actually purchasing one. 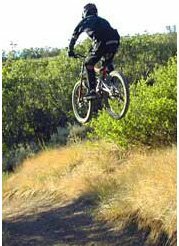 You can even try different models and see the difference between high quality e-bikes and poor ones. Also, if you go to one of the e-bike retailers and ask to take a bike to cruise around, you will usually try it for a couple of minutes. In the tours, you get to try the e-bike for a couple of hours and this is a big difference. There are shops that let you rent an e-bike for a couple of days if you want to, but they usually charge a high price for this service. 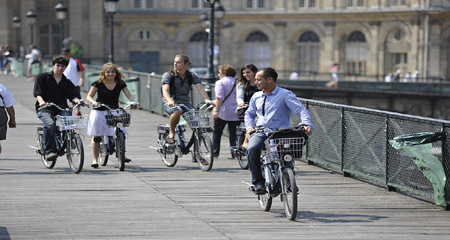 Electric bicycle tours give everybody an equal opportunity to enjoy cycling while visiting all the city sites. Not everyone are fit and some people haven't been on a bicycle for years and won't be able to cope with a cycling group without the help of an assisting motor. So by using e-bikes, all the people in the group can easily maintain the same speed, simply by using the right level of assistance. Another things is that e-bikes tours give you an alternative to the regular, sometimes boring tour bus and it's also probably going to cost less.